This is a recording of the panel discussion on "Digital Strategy: Looking Back on 2015 and Forward to 2016" at the December NTEN/501cTECH Happy Hour, in partnership with NetSquared and hosted by Amazon Web Services. Webinar: What You Need to Know About "Know Your Customer"
What You Need to Know About "Know Your Customer"
NetSquared holds free or low cost educational events for people and organizations who want to learn more about using technology for social good. Our events are powered by a global network of volunteers dedicated to building strong, self sufficient local communities of nonprofit technology practitioners. Health Check: How are NetSquared Organizers Feeling? Every year we survey the NetSquared organizers to take the temperature of the community and get a sense of how we can serve them better. We want to identify what is working and what could be improved. This year 75 NetSquared organizers completed the survey (vs.
Every month TechSoup’s NetSquared community organizers volunteer to bring free and low-cost nonprofit technology events and workshops to over 50 cities. If you want to network with your peers or love to learn at live, in-person events NetSquared is the place for you! NetSquared gathers together nonprofits and activists, tech leaders and funders, and everyone who’s interested in using technology for social change. 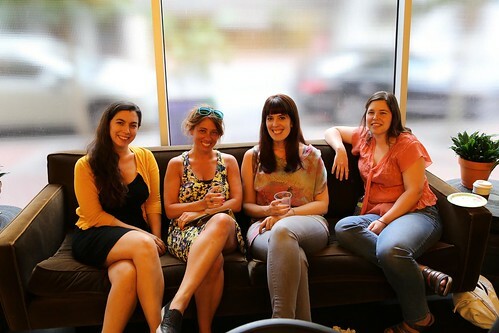 Every month our meetup leaders host free in-person events every month in 60 cities. Find your closest group or apply to start a new group. Nonprofit staffers will find a friendly, welcoming atmosphere for those who aren’t experienced with technology, and many chances to ask questions of tech-experienced nonprofits and experts. Technologists and consultants will find opportunities to put your expertise to social good, as well as the potential for lasting relationships (be they paid or volunteer) with leading organizations in your community. As a nonprofit or school finding the money for technology needs can be challenging. To make the most of your technology budget, The Community Corps is a great no-cost resource to help nonprofits and schools bridge the digital divide.